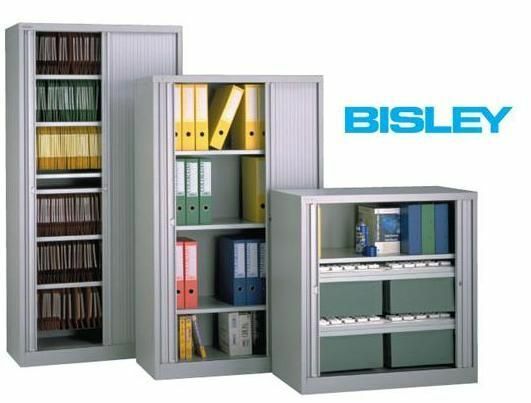 Contract Bisley tambour cabinets available from stock and delivered and installed in 5-7 days. Available in Goose grey with a light grey tambour shutter. 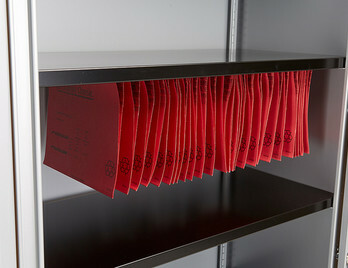 Five-year factory guarantee is featured with these filing cabinets. 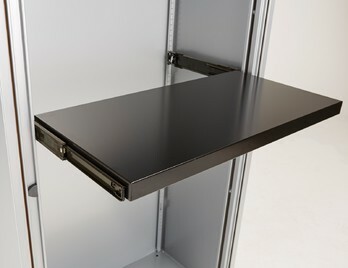 Bisley is a world famous brand when it comes to office storage. For years they have made storage units that have set the standard within the industry. Manufactured in the UK, Bisley are best known for their range of metal filing cabinets. This range of tambour cupboards are available in Goose Grey only with shutter doors finished in Light Grey. These units are delivered for free to any UK mainland address within 5-7 working days from order and also feature a completely free installation as standard.